At Endeavor Schools, our pursuit of building a world-class family of private schools is guided by our core values. We seek to hold ourselves and each of our team members accountable for demonstrating them every day. After all, it is our core values that define our aspiration of how we interact together as teammates, as well as with the children, families and communities that we serve. Recognition. We celebrate the success of our teammates. We spread the good news about the positive impact we are making in each others’ lives and in the lives of children and families. Excellence. We understand that we will not achieve the impact we seek without sustained dedication to delivering value. We must be disciplined in terms of becoming the best professionals, and the best people we can be. Service. We are committed not only to serving the children and families in our school communities, but also to serving the needs of our teammates. Positivity. We strive to inspire and draw out the best in each other. We persevere through sometimes difficult circumstances for the benefit of our schools. Ethics. We do not compromise when it comes to our ethical standards. We hold each other accountable to doing things the right way. Collaboration. We engage with our school communities—families and teammates alike—to define our shared vision for how each of our schools will evolve. Trust. We work to prove that our actions are guided by the best interests of those we serve. We seek to build trust with all stakeholders through transparent, honest communication. Our paramount objective is to deliver exceptional education. We strive for excellence by partnering with the best educators and school operators in the country. Our schools are either accredited by top organizations or adhere to the highest rankings of their state’s rating system. 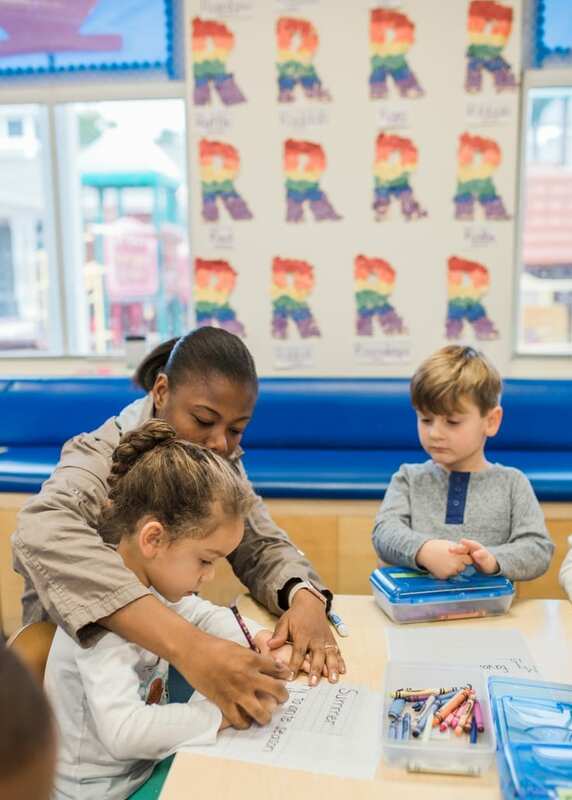 Our schools subscribe to research-based educational models such as Montessori, Reggio-Emilia, High Scope, Creative, and more. Our experienced and highly-qualified educators are well-trained and amply prepared to guide our students toward realizing their full academic potential. We employ rigorous safety requirements and train our staff to make student safety their primary concern. Our facilities undergo thorough inspections to ensure the highest quality standards are met. Our properties are continuously monitored to keep them safe and well-maintained. This allows us to foster an environment where education is the number one priority in every classroom. Our secure campuses are managed by state-qualified professionals that are responsible for providing the ideal setting of academic enrichment, strongly encouraging students to “endeavor” to their full potential. We strive to offer our students a whole-life experience that goes beyond the classroom. Our schools offer compelling extracurricular activities that are both challenging and fun, and ample opportunities for students to develop their talents outside of the classroom. It is our belief that a quality education encompasses a broad spectrum of opportunities across multiple platforms. A school’s success is driven by its ability to earn the embrace of its community. It takes a special kind of school to cement its standing in the community and evoke the trust necessary to become a true partner in educating its youth. It is an integral part of our mission to bring communities together by providing them with the environment and tools necessary to improve their lives via excellence in education. Top schools require strong leadership that can inspire their educators and students to perform at their highest levels. We support our school leaders by giving them the resources and professional development they require to be the best at their specific roles.